Recessed lighting is unobtrusive and well-suited to contemporary lighting styles. Recessed lights present the consumer with soothing and refreshing options ranging from miniature low voltage lights to energy saving LED lighting, you can makeover your home or office with recessed light fixtures and pair down lighting with contemporary decor. The creative possibilities of recessed lighting are endless. Affordable recessed ceiling light fixtures are perfect for home, office, and commercial settings, recessed light fixtures are subtle and modern. 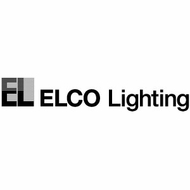 Line voltage, low voltage, LED lights, and fluorescent lighting are all possible recessed fixture options that mesh well with contemporary interior and exterior decor. Lighting manufacturers fashion recessed lighting trim so that recessed fluorescent light fixtures blend into the ceiling. Affordable Lamps is proud to offer the most variety when it comes to recessed light fixtures, featuring popular designer brands like Bruck Lighting and Liton Lighting for all your indoor and outdoor lighting needs and desires. Liton Lighting is a pioneer in the field of recessed lights. On the forefront of energy-saving technology and design, Liton Lighting has an impressive array of available recessed lighting fixtures. The recipient of the 2010 Best Interior Product Award, Liton Lighting is the best company to consult when you're deciding to go green, make your home environmentally friendly, and upgrade your lighting style to contemporary lighting fixtures including affordable recessed ceiling lighting products. Featuring everything from miniature low voltage recessed lighting fixtures to LED lighting to dimmable retrofit recessed lights; Liton has every recessed lighting fixture option you could dream of when you want to light your home, business, or office with finesse and gentle, LED can lights. Some of the most popular fixtures these days are LED recessed lights. 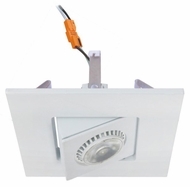 LED-style quality recessed ceiling light fixtures are quickly becoming the latest environmentally friendly trend in lighting, as they are much more energy efficient than incandescent bulbs. LED light fixtures are approximately 70% to 85% more energy efficient as they don't lose or give off heat during use—an added bonus. Obviously, quality recessed ceiling light fixtures with LED capabilities are a good choice for environmentally-conscious home-owners. Peruse our collection of Liton Lighting compact fluorescent recessed light fixtures. Ranging in size from 2" to 6" trim, these light fixtures are much more energy efficient than your average incandescent fixture. Recessed fluorescent lights concentrate the brilliance where it is needed, so you will be more effective in your lighting layout. This trend in contemporary lighting works for many different lighting situations; use low voltage lighting in your decorative/display lighting, task lighting, and retail product highlighting. Other creative applications include recessed lighting covers that are waterproof. Low voltage recessed lights are slightly more complicated to install as they require a transformer to bring down the voltage and save energy. Often the advantage of line voltage fixtures is that they're less expensive because electrically they require fewer parts and simpler constructions, but if your goal is to save energy, then low voltage recessed lights are excellent choices for recessed lighting. Before deciding to buy recessed ceiling lighting fixtures, customers should consider the look of the home, and the style that they wish to emphasize. By choosing the best recessed ceiling lighting fixture, the color, feel, and style of a room can be strongly showcased. Sale-priced recessed exterior lighting fixtures can also work wonders in updating the look of an outdoor patio, porch, or deck. In fact, the quality recessed exterior lighting fixtures shown below are so affordable; they can be purchased for each room of the house! Individuals who have additional questions regarding the purchase of affordable recessed exterior lighting fixtures should contact organization representatives.